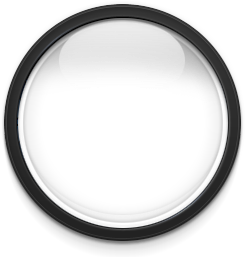 A photograph that one has taken of oneself with a smartphone or webcam and uploaded to a social media website or app. In 2012, Time magazine, SELFIE one of the "top 10 buzzwords" of the year. In 2013, SELFIE "word of the year" by the Oxford English Dictionary. 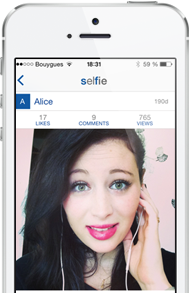 In 2015, SELFIE entered the French Larousse Dictionary. Selfies make up 50% of the photos taken by people of all ages. 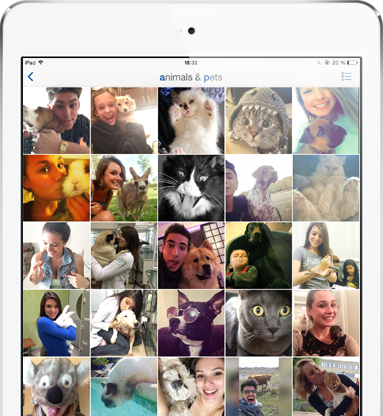 a new app entirely dedicated to selfies. 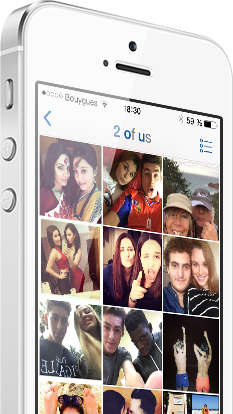 WoS allows people to categorised selfies throughout the world in 12 categories. 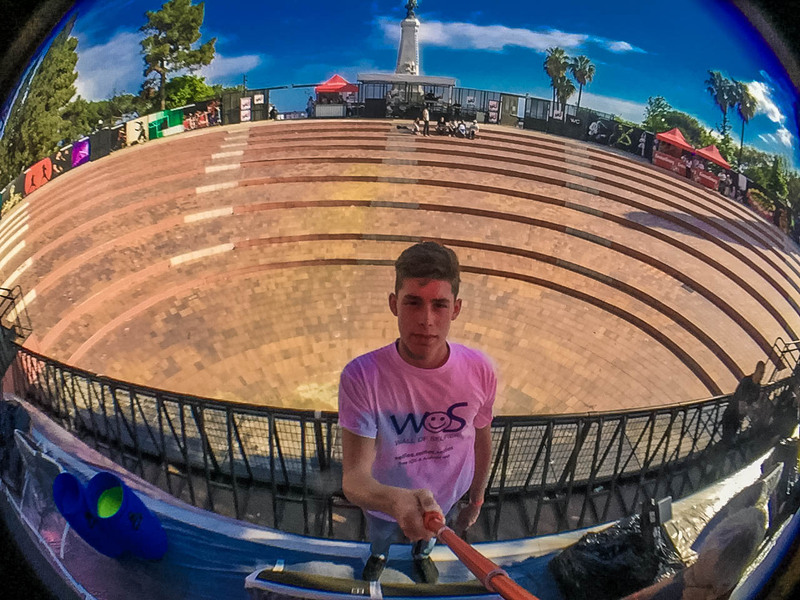 WoS is a fun way to share your selfies with friends all over the world . 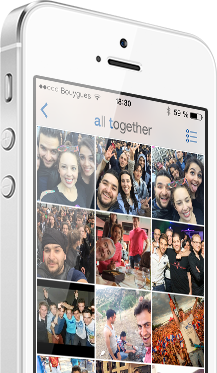 Take a selfie with your mobile phone and share it instantaneously. WoS is available in the Apple App Store for iPhone & iPad and Google Play store for all Android mobile phones. 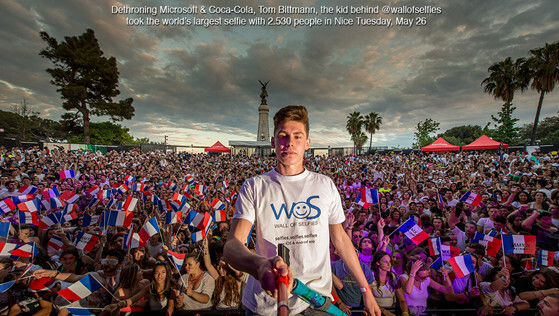 On 26th May, 2015 in Nice, France, dethroning Microsoft, Tom the kid behind WoS* took the world's biggest selfie with 2.530 people. Tom was helped by a local electro music festival. 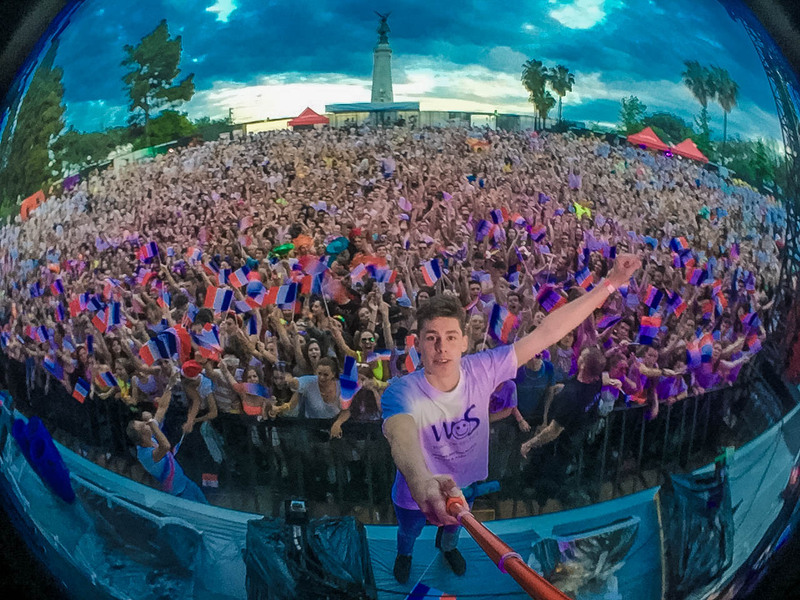 The organisers allowed him to climb on stage to take his selfie with the crowd. Aujourd’hui, nous accueillons Tom, un des plus jeunes invités sur ce plateau, il a créé une application Selfie et battu le record du monde du plus grand Selfie. El que sacó la foto es Tom Bittmann, un estudiante de secundaria que hizo una alicación para publicar selfies en Internet. Tom Bittmann, un jeune niçois de 16 ans, a battu le record du monde du plus grand selfie qui était détenu par Microsoft et Coca Cola depuis novembre 2014. El joven de 16 años, Tom Bittmann rompió el récord al tomar la selfie más grande del mundo en la que además de incluirse a sí mismo, integró a más de 2 mil 500 personas en la foto, quitando la marca de la selfie con el mayor número de personas a Microsoft y a Coca-Cola. Mit seinem Weltrekord hofft Bittmann, dass Investoren auf ihn aufmerksam werden und er seine App weiterentwickeln kann. Schüler stelle in Nizza Rekord für größtes Selfie auf. Ein Schüler in Nizza hat 2530 Menschen auf einem Foto festgehalten und damit das größte Selfie aller Zeiten geschafft - Weltrekord für den 16-Jährigen. Tom Bittman, un entrepreneur niçois de 16 ans, est revenu sur son application Wall of selfies, qui permet de répertorier les selfies du monde entier par catégorie. © 2015 Wall of Selfies. All Rights Reserved.